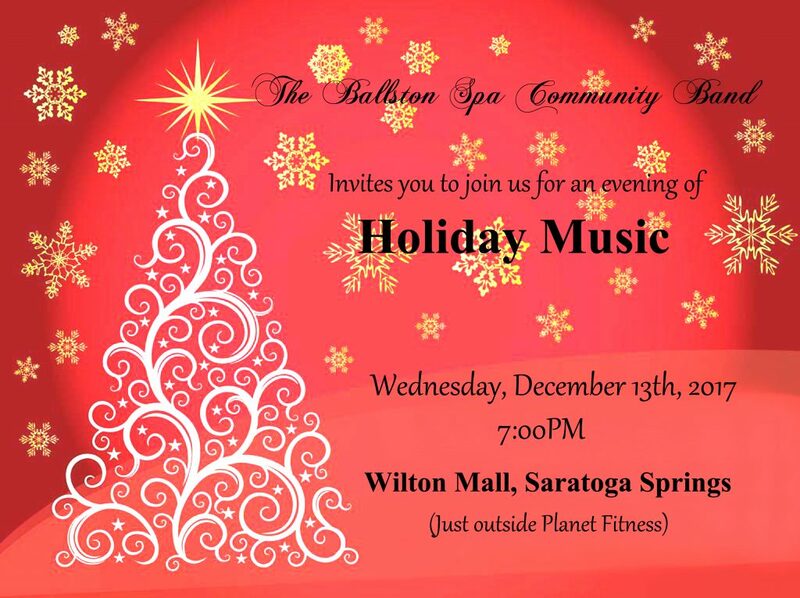 Join us at 7pm on Wednesday, December 13 at the Wilton Mall for a concert of holiday favorites. 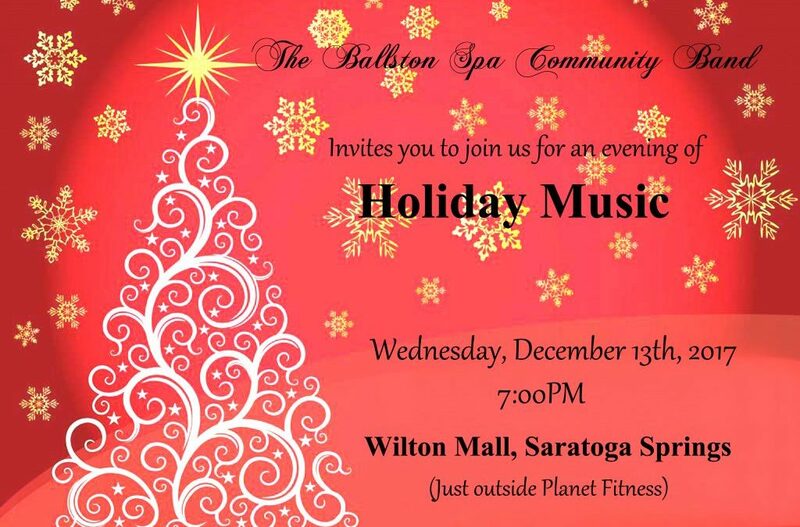 We will be inside the mall near Planet Fitness. 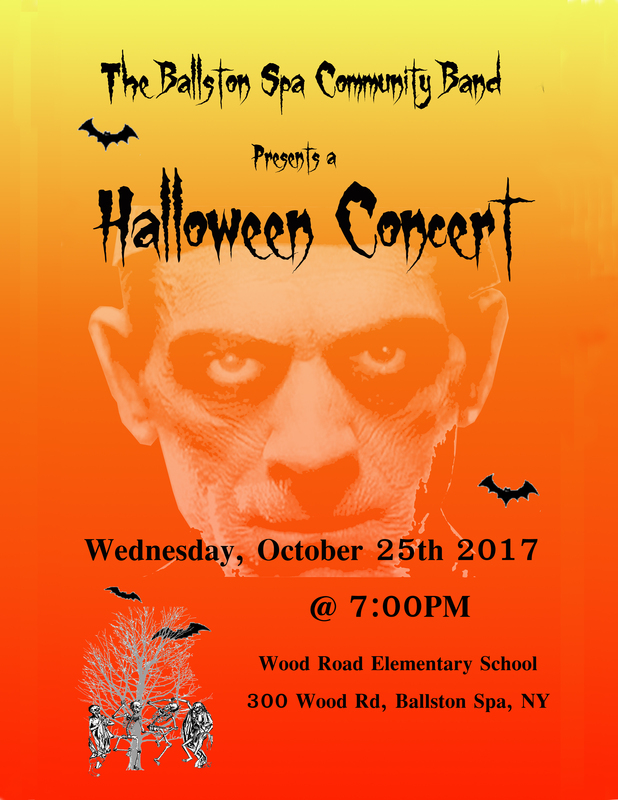 Bring your friends and a chair.